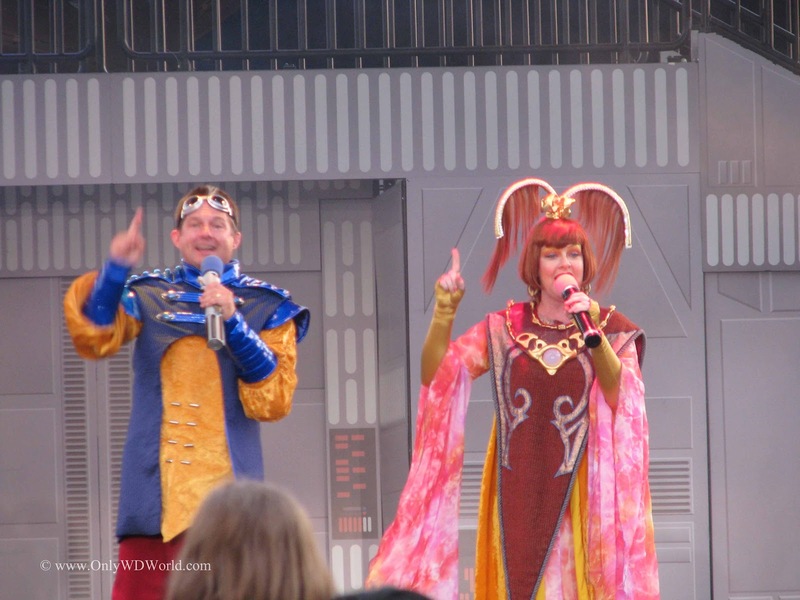 Home � Disney World Attractions , Disney World Vacations , Disney's Hollywood Studios , Hollywood Studios , Hyperspace Hoopla , Star Wars , Star Wars Weekends � Best Disney World Attraction You May Have Never Heard of: Hyperspace Hoopla! 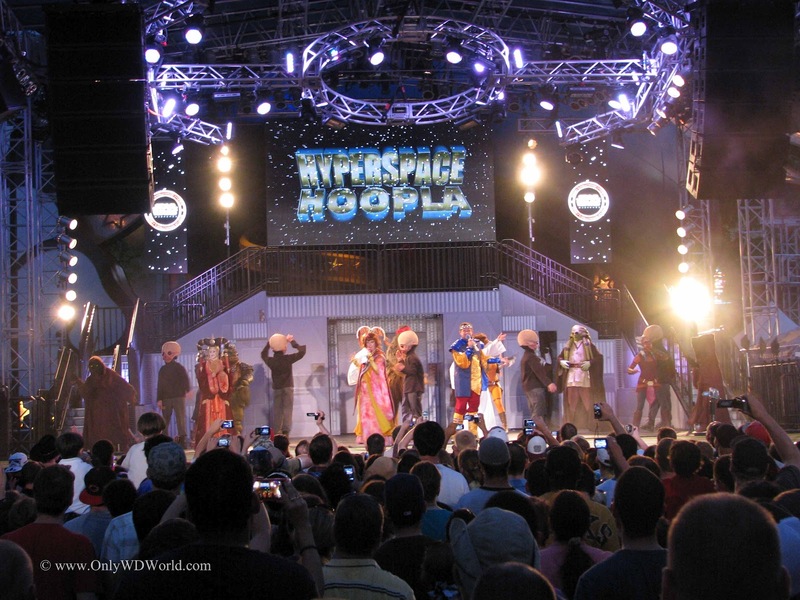 Best Disney World Attraction You May Have Never Heard of: Hyperspace Hoopla! 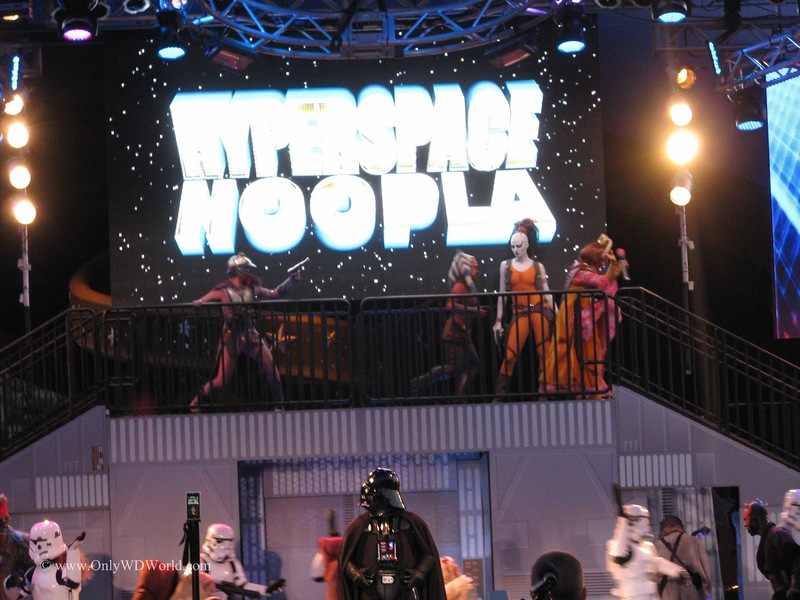 Disney World is full of classic, well-known attractions, but one of the best attractions that you may have never heard of is called Hyperspace Hoopla! 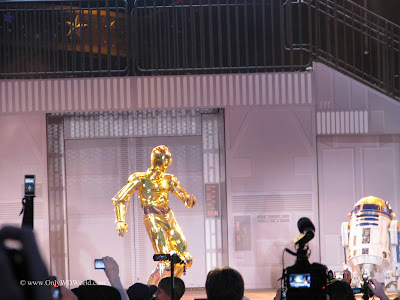 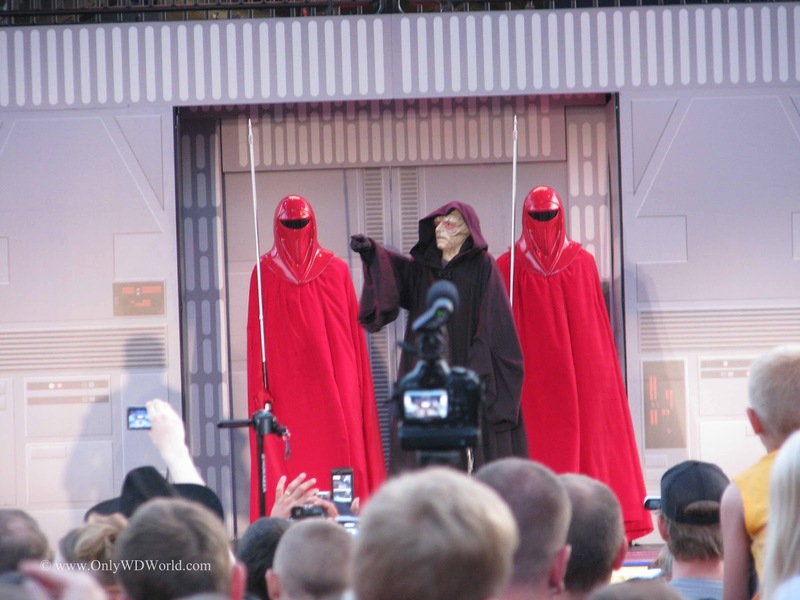 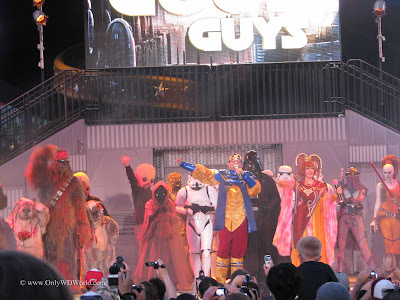 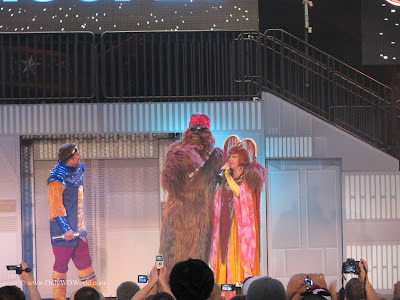 This fun filled Star Wars themed show closes each day of the Star Wars Weekends event at Disney's Hollywood Studios. 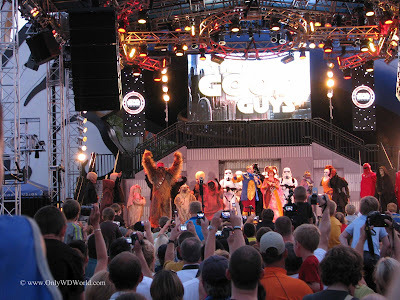 The fact that it can only be seen by those who stick around to the end of the day on those 4 special weekends each year is the reason it is largely unknown to most Disney World fans. 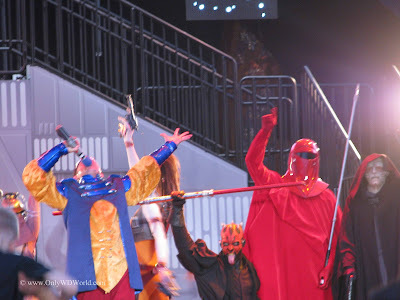 Call it a cult favorite, but this tongue-in-cheek Star Wars spoof that pits good vs. evil in the ultimate dance competition is a must see for many Disney World fans. 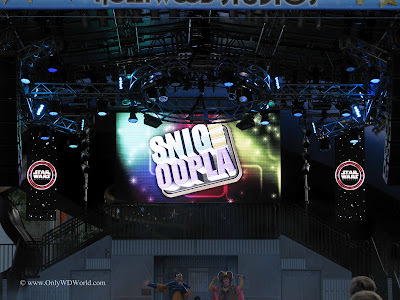 The show is hosted by the engaging Snig and Oopla. They get the crowd going and interject their own brand of Star Wars humor that anyone familiar with the movies will enjoy. 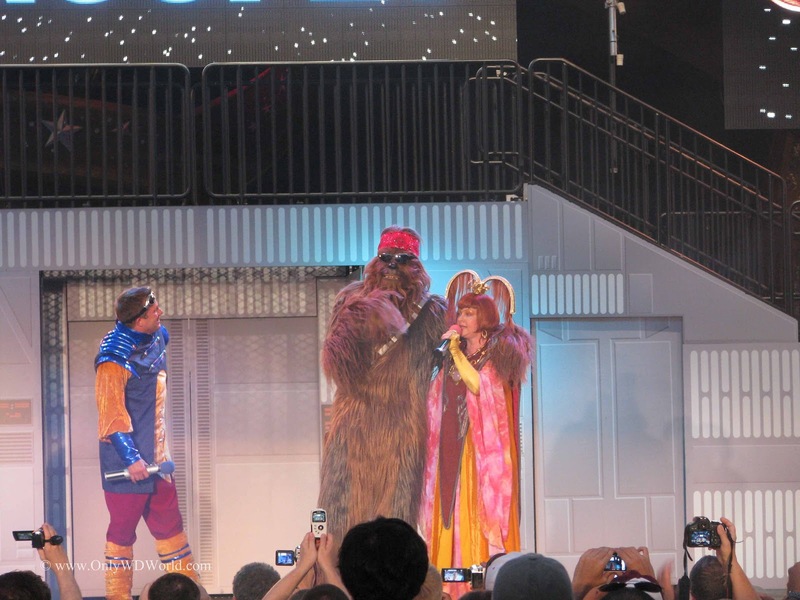 The show itself follows the same basic formula each year, but that is part of the charm. 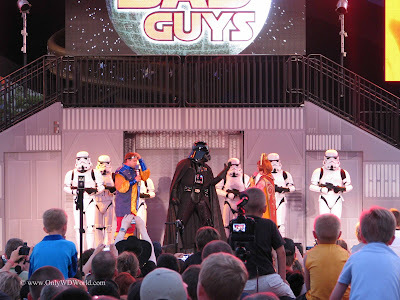 You want to know how they are going to keep it current, while loving the basic crazy premise of Good Guys vs. Bad Guys in a dance competition to settle their differences. Count on seeing a multitude of your favorite Star Wars characters whether you are a fan of the Rebel Alliance or the Galactic Empire. 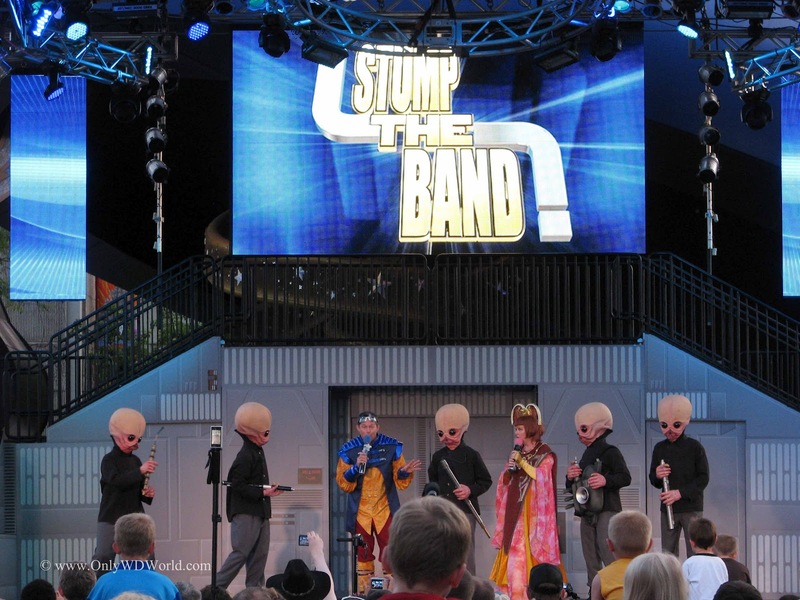 The Cantina Band from the original Star Wars Movie, aka Figrin D'an and the Modal Nodes, start the dancing off while frustrating the hosts during their rendition of Stump The Band. Emperor Palpatine starts the contest representing the Dark Side of the Force. 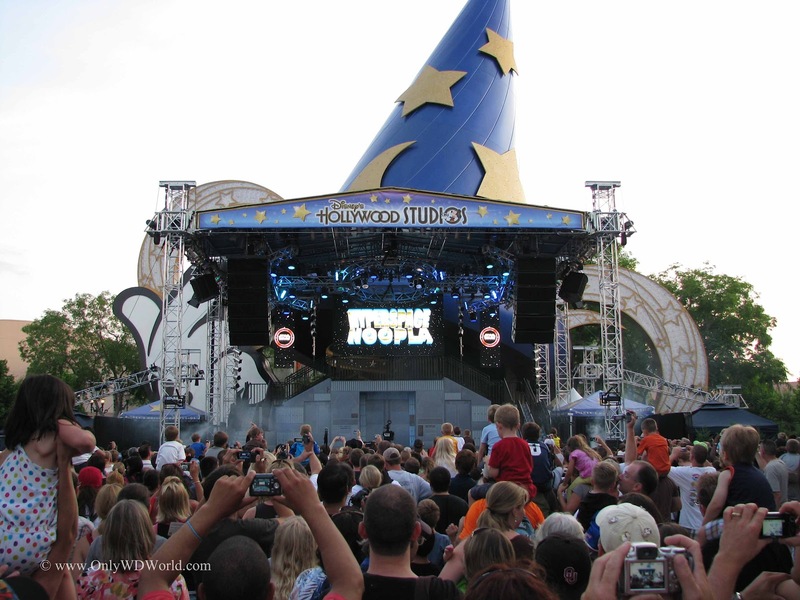 Each year the songs chosen change. 2011 featured rock anthems with action kicking off with the AC/DC classic "Back In Black." Chewbacca represents the Rebel Alliance and exhibits his own brand of stylish dancing that can only be performed by a Wookie. 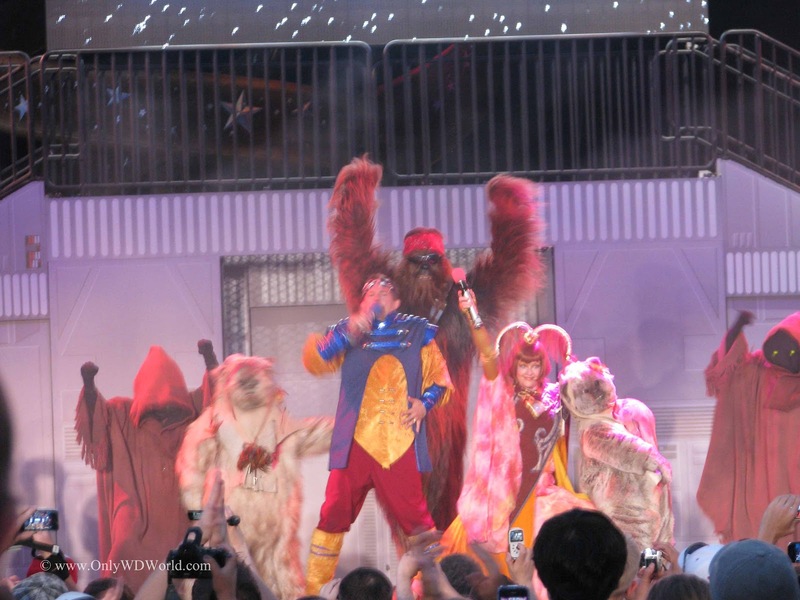 The Guns & Roses trademark "Welcome To The Jungle" will never be the same after this performance last year. 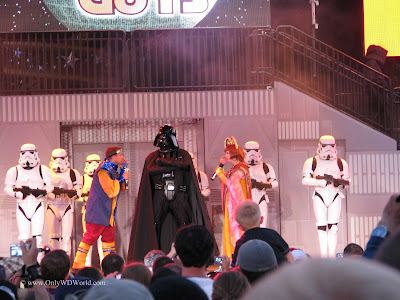 Not to be outdone or forgotten, Darth Vader and his Storm Troopers present another entrant for the Dark Side. 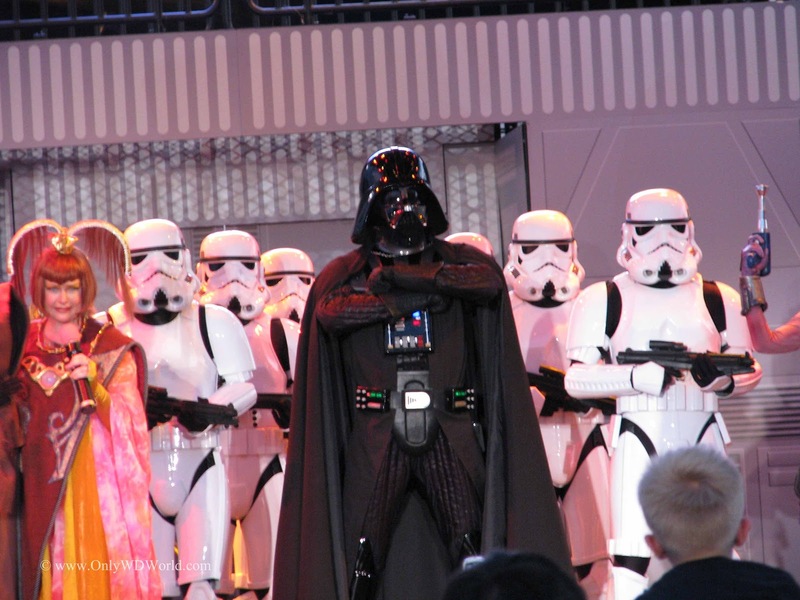 Lord Vader danced to Metallica's "Enter Sandman." 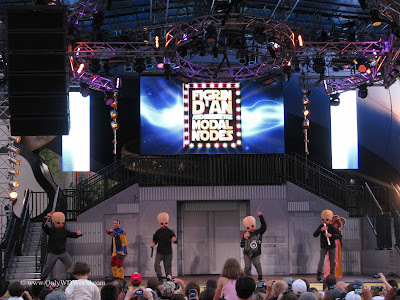 After the initial competition the dancing does not stop there. 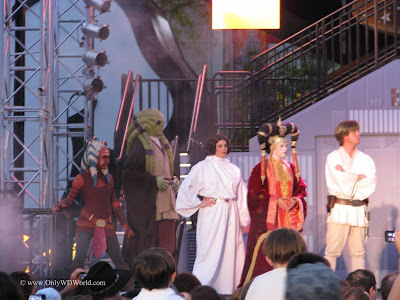 Expect to see a multitude of Star Wars Characters including: Aurra Sing, Boba Fett, Zam Wessel, Kit Fisto, Luke Skywalker, C-3PO, R2-D2, Princess Leia, Padme, Darth Maul, Ewoks, Jawas, Storm Troopers, Ahsoka Tano, and many more. 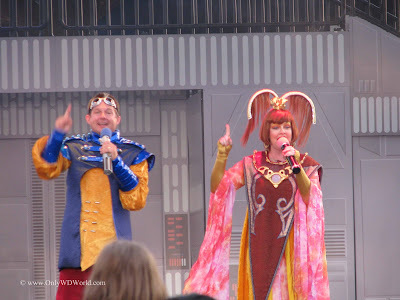 Although the Hyperspace Hoopla! 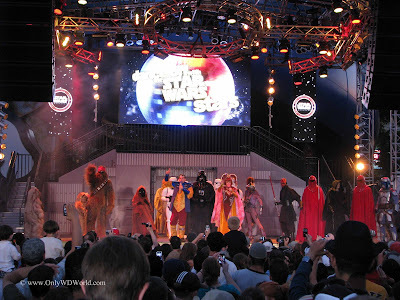 is only around for 12 performances each year, it is one Disney World attraction that every Disney World and Star Wars fan should have on their list of attractions that they want to see live in person. Pictures and YouTube videos don't do justice to the pure fun of experiencing this show in person. 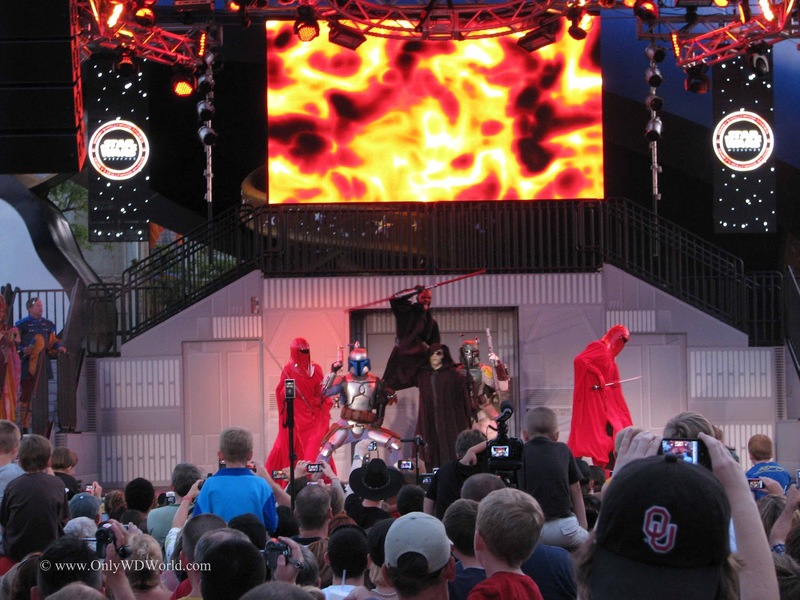 The music, comedy, pyrotechnics, and energy generated from the performers and the crowd just can't be beat. 0 comments to "Best Disney World Attraction You May Have Never Heard of: Hyperspace Hoopla!"